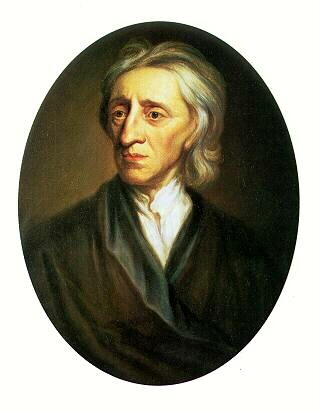 John Locke (1632-1704), author of An Essay Concerning Human Understanding, a cornerstone of Beckford's early education. As you did me the honour to say a Letter from me would not be disagreeable I should have taken an earlier opportunity of writing had I not conceived some merit in not intruding too forwardly on your important engagements. All we shall ever see of him more at Geneva is the light of his Genius reflected from his Works. I will next present to you a less brilliant but far more sedate & moral personage Bonnet de G[?] from whom I have received a thousand flattering marks of kindness and affection. This Gentleman, since Linneus and Mallet are gone, may perhaps justly claim the first Rank in the walk of Natural History. It may be doubted whether his Vocabulary in this Language be of equal extent with theirs; but his experiments and discoveries shew him to have interrogated Nature with at least as much, if not more Sagacity than either of them. He is not less eminently distinguished in Metaphysics: He has endeavoured to strengthen the foundations of this Science by the application of some important discoveries in Natural History. His System of the Germ or Corps indistructible is placed on the Ruins of Buffons organic molecules. He appears on many occasions a warm Advocate for Leibnitzs pre-established Harmony; tho he by no means adopts it in its full extent. Mr Frouchin de la Boissiere, called here the Montesquieu of the Age is in Person, a striking contrast to Mr De Saussure. He is unquestionably a Man of Genius and uncommon acquisitions in various parts of Literature. His attention has chiefly been turned to Law, Politics and History. He has perhaps a more general intelligence in the politics of Europe than any Man not particularly concerned in them. His Lettres de la Campagne gave occasion to the very celebrated ones de la Montagne of Rousseau. He lives wrapped up in the Groves of his Villa, apparently retired from all political Concerns and if consulted at present, it is not without the affectations of a very mysterious secrecy. Mr Bertrand presides in the mathematical Chair with great ability and reputation. He is distinguished by the Liberality of his Sentiments and a very masculine Understanding. He is about to publish a Work in the Science he professes, in which some useful discoveries are expected from him. He possesses a good deal of information on various Subjects, which he displays very agreeably in the Conversation of his friends. He is reckoned an able Civilian and is allowed to have acquitted himself with Eclat as Mr De Saussures Predecessor in the Professorship of Natural Philosophy. The Charms of his Understanding have won him the esteem of Voltaire, the sensibility of his Heart has endeared him to Rousseau. Mr Vernet the theological professor, boasts a presence of Mind and Vigour of Constitution equally uncommon at Fourscore and four. I know not whether our Nestor in the World of Letters may not be said to have seen two Generations pass away and to live in the third. He may make the same reflection on the literary Race, which the Sage of Pilos does on the natural. In Mr Huber I introduce to your acquaintance a Genius so wild, so irregular, so various, a Camelion that presents himself under so many different Colours almost at once, that I know not which to call most properly his own, nor which I shall attempt to catch first in the rapid succession. I see him this moment starting from his Chair with his Instrument in his hand and playing an Italian Air with all the fire, feeling and expressions of a great Master. Now he sits down and instructs his Friends with a solemn dissertation on the present state of Europe. He has just snatched up his Scissars and is cutting at figures in paper. What an unworthy amusement, some Stranger exclaims; It is Hercules with his Distaff!  But all is consecrated in his hands. We are  presently astonished with a fine Landscape a beautiful assemblage of picturesque Objects, or perhaps a Colossal Hero frowning in paste-board. The Scissars however are not Mr Hubers only Instrument of Design. At the age of forty, he took up the Pencil. We have scarcely time to admire the wonders he works with it, before we find him passionately occupied in examining the Nature, Gravity and pressure of Fluids. Whilst his Friends are promising another Archimedes or Boyle to the Science of Hydrostatics, he is suddenly engaged in a Treatise on Falconry and his Imagination is soaring into the Clouds with his Hawks. At this Moment he comes reeking from his Diversion all over blood and filth with Lures and Coping Irons, dangling about him. We meet him next in the Drawing Room transformed into a fine Gentleman and entertaining the Italian, the Spaniard, the German or the Englishman, each in his own Language, with descriptions, anecdotes or customs, of their several Countries. His discernment instantly seizes the ridicule of every Character,  which, at certain intervals, he seldom fails to reflect back in the most vivid colouring that Mimickry and Wit can furnish. After so many strange Instances of Versatility we are not surprized to see him dispensing Justice in one of the Tribunals of the Commonwealth, nor, as soon as he is escaped to his Villa from the Tramels of Business, exulting in the Views of the Lake, the Woods and Mountains around him and describing their effects in the Language of Inspiration. Here Sir, I have presented to you a respectable Company, to whom I am indebted for the pleasures of the most agreeable Society. I could much have enlarged the number by the distinguished Names of Le Sage, Tremblay, De Rochmont, a Claperede and a De Lolme; but that I have wanted opportunities of  cultivating them sufficiently to do justice to their merit. I may add too that I have all along felt some discouragement under the idea of addressing these pourtraits to a Gentleman whose own Character presents one so superior to them all. As William Beckford, just prior to his seventeenth birthday, arrived in Geneva in the summer of 1777 together with his tutor, John Lettice, he entered into an ambitious regime of education softened by the presence of much admired intellectual giants and sweetened by the freedom offered by life on the continent. Though studying many topics which would be beneficial to the young heir in his future life, Beckford also devoted much time to other, more artistic pursuits. His biographers have made much of his separation from his friend and drawing-master Alexander Cozens during this period and have drawn upon letters written to him, from Geneva, in which Beckford outlines a parallell life, smoothly and safely out of sight of his appointed guardians. This life was led by Beckford in a world of imagination. The writer, the artist, the intellectual and the aesthete  all these roles were assumed by Beckford as he read, dreamt and conversed freely with the intelligentsia of Geneva. Beckford stayed in Switzerland for almost a year and a half. In May of 1778, he found time to write a lengthy report to his guardian, Lord Thurlow, about his education and his experiences in Geneva. The letter, which survives in a fair copy dated May 22, 1778, is a chatty yet informative account of his acquaintances and his studies. It offers a cross-section of the intellectual clique in Geneva at the time, and provides the reader with a rare glimpse into the continental education of a wealthy heir. It is also an implicit reminder of Beckfords real interests at the time. Apologetic, the letter begins with an interesting excursion into the double life of the aspiring artist, torn between the conflicting powers of reason and fancy. The fair copy of the letter is contained within the covers of a small book which, somewhat surprisingly, also contains a draft of Beckfords short prose work »Hylas». The letter is written in the hand of an amanuensis, as are many of Beckfords letters in fair copy, and spans twenty small pages. The present edition, which is transcribed with as much accuracy as is possible, retains the various spelling idiosyncrasies which are an inevitable aspect of all of Beckfords manuscripts. No explanatory footnotes are provided, and it is the expressed hope of the editor that the publication of the letter will spawn a discussion of the intellectual climate into which Beckford descended in the summer of 1777, a discussion which will no doubt shed new light on Beckfords intellectual and artistic development. All words underlined in the manuscript have been rendered in italics. The original pagination has been retained within square brackets. The manuscript, which is found on fols. 34-43 in MS Beckford d.9, is published with the kind permission of the Bodleian Library, Oxford.